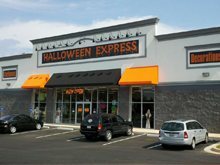 Halloween Express of Bowling Green, KY! For over 10 years we have provided Bowling Green with the most Halloween merchandise around! Be sure to check back on details for the reopening of the Big Orange Tent off exit 22! We will be happy to serve you once again for the 2016 Halloween season! Welcome to Halloween Express in Florence, KY! 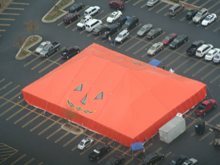 For the 2016 Halloween Season we will once again be carrying the absolute largest selection of Halloween costumes and Halloween merchandise available in northern Kentucky. Simply put, you won't find a larger selection of costumes, props, decorations, masks and wigs in Northern, KY. Stop by and let our friendly staff help you with all your last minute Halloween needs! This store location offers our popular BUY ONLINE PICKUP IN-STORE service. 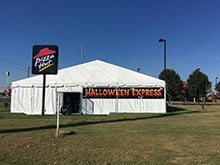 Halloween Express of Lexington has proudly been serving Lexington for 24 years. If you are looking for the newest and latest in costumes, props, decorations, wigs and masks stop by and visit us. You can find us on Reynolds Rd in Crossroads Plaza off of Nicholasville Road across from the Fayette Mall. We look forward to helping you find just what you need for Halloween, plays and even School Spirit Week! Don't forget we are open all summer to provide you with the perfect dress up costumes! Welcome to Halloween Express in Lexington, KY! Serving Lexington for over 24 years we are Lexington's #1 Halloween store! As we are gearing up for the upcoming 2016 season! Look for us to once again to carry the widest selection of costumes, accessories, props and decorations. Whether you want spooky, funny or sassy we can help you! Make sure you stop by our store on New Circle Road just 1 mile south of Richmond Road this Halloween! We are currently closed, but would like to wish our customers a wonderful summer! 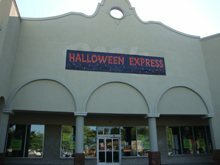 Halloween Express Paducah, sister store to the Halloween Express Giant Pumpkin in Clarksville, TN, is back. And we will be packing the store with the greatest selection of costumes for grownups and kids. With fancy wigs, crazy makeup, and accessories so you can be whatever you want to be this Halloween. And with indoor and outdoor decorations, spooky music, and party supplies, your haunted house or Halloween bash can be just a bit spooky or a frightening scream fest. Look for us in the big tent off the I-24, Exit 4 in the Pizza Hut parking lot. Grand opening is September 16th. We are so glad to be back!